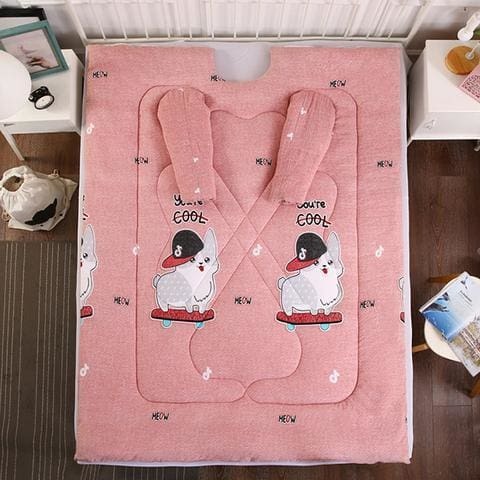 The ultimate soft and fluffy Quilt With Sleeves keeps you warm and cozy whether you are relaxing in bed or on the couch. Perfect for reading, playing with your cell phone or computer. Worry no more about having cold arms, stay toasty with this perfect winter warmer. Live a warm, comfortable life, whatever you might be doing!